For anyone who enjoys making their own clothes, here's how to make your own sewing mannequin using a few supplies you probably already have! 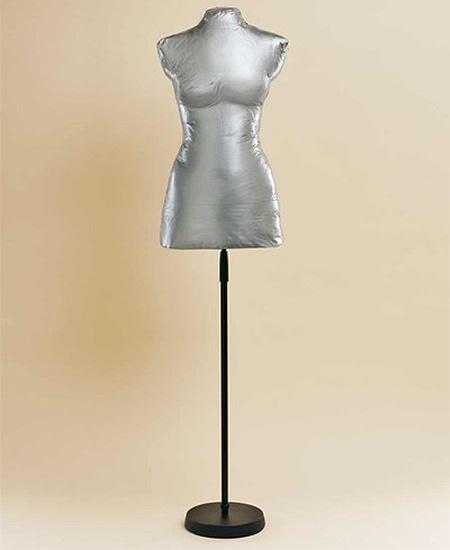 This easy sewing mannequin is made using duct tape and stuffing. You can mount the mannequin on an old lamp stand, or make a base using a dowel or broom handle inserted into a poured concrete shape for the base. 1. A snug t-shirt or short dress allows you to create the perfect form shape for your body size. You will be wrapping cling wrap around the neck area as well. 2. Starting just under the breast area, wrap tape taut so that it is like a second skin. This is important as it should reflect your exact measurements. 3. Define the breast area with diagonal strips of tape from the front over the shoulder. Allow the chest to retain its natural form. Continue to add strips in the same way until reaching the shoulder. 4. 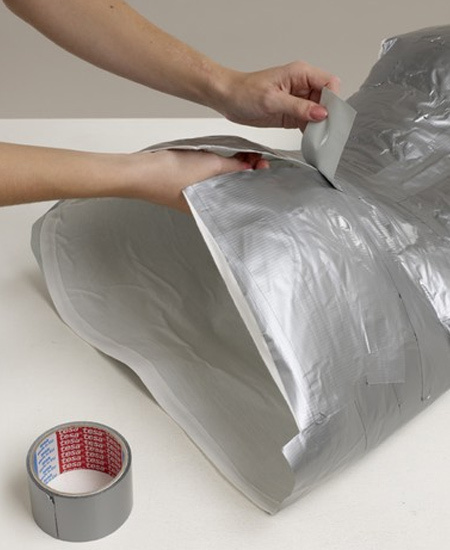 Wrap another layer of clingwrap around the neck area and start working down from the chest with horizontal strips around the chest area down to the waist. Overlap each row and apply 3 layers of tape in total. 5. Continue to wrap tape around the waist and down the hip until you reach the end of the t-shirt or dress. 6. Use a marker pen to mark the waist. Bend slightly to the side and mark where a kink in the tape shows. Repeat for the other side. Connect these points with a line around the waist. 7. 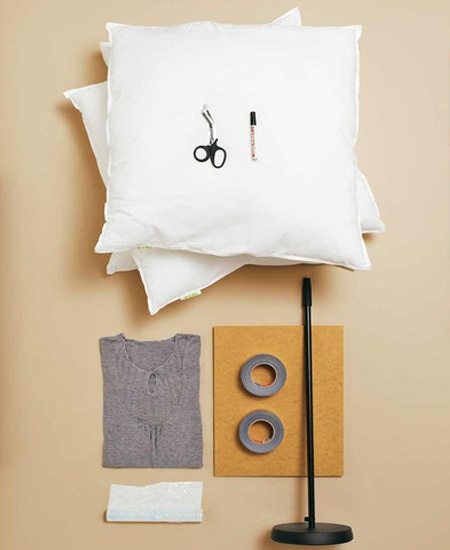 Use scissors to carefully cut up the back - through the tape and t-shirt or dress. 8. 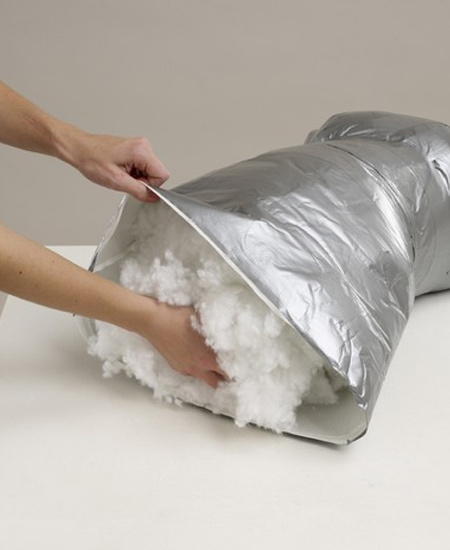 Carefully pull the form away from the back so that it retains as much of its shape as possible . 9. Use short strips of tape to fasten the cut seam together again . 10. 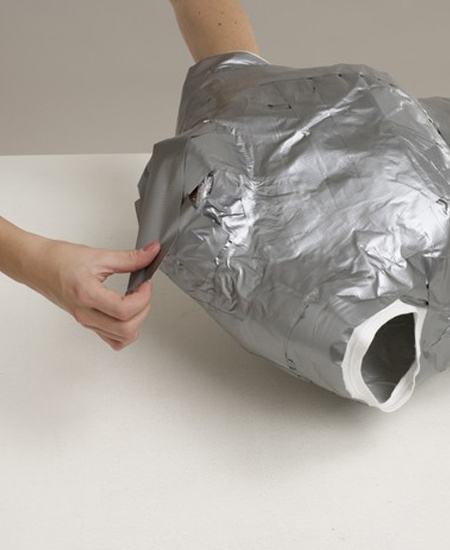 Use tape to close up the neck and arm openings. 11. Fill the form with stuffing, making it as compact as possible. 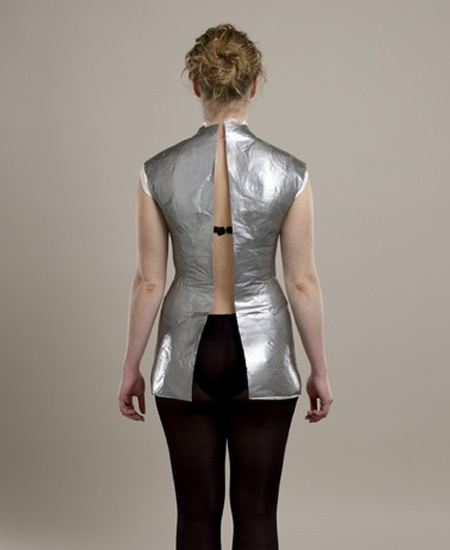 You want to be able to shape fabric over the form. 12. 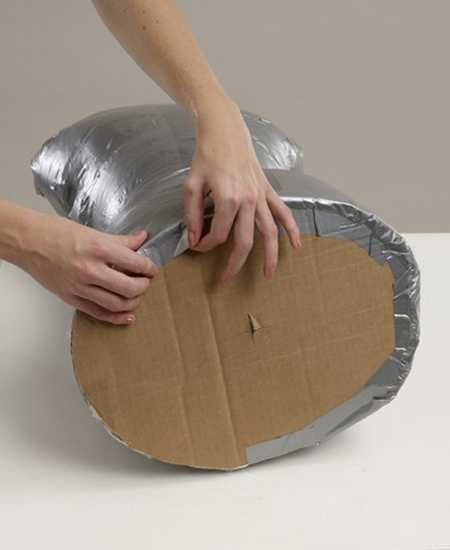 Insert a piece of corrugated cardboard in the base and then leave as is, or secure to the base. Cut a slot in the base if mounting on a stand, and push the stand as high as possible into the form.